Following a string of well-received collaborations, Nike SB and Jordan Brand are coming together once again in partnership with pro skateboarder Eric Koston on a Nike SB x Air Jordan 1 Low silhouette. The upcoming “Midnight Navy” iteration of the fusion features a white leather upper topped with navy suede overlays, highlighted by an ember glow Jumpman logo on the perforated toe box. Other branding includes grey midfoot Swooshes, the Air Jordan logo on the heel and a stitched Nike SB and Eric Koston label on the tongue. 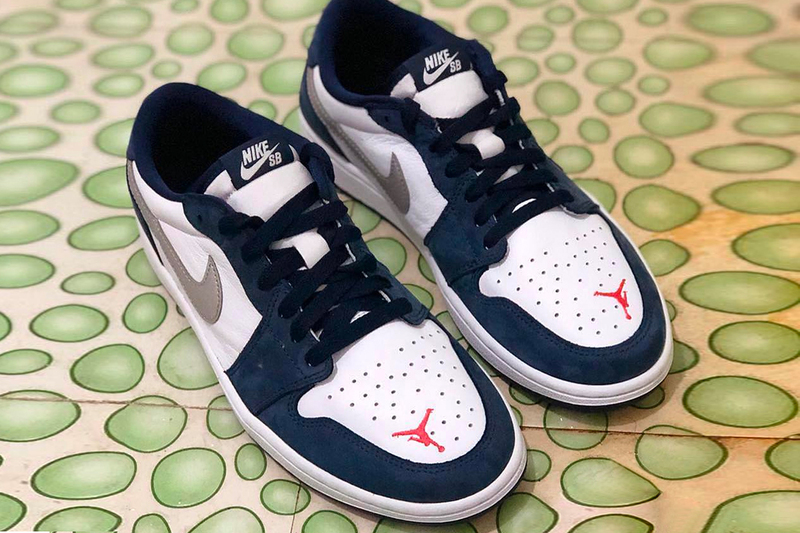 The Nike SB x Air Jordan 1 Low “Midnight Navy” is expected to drop this Summer at select retailers and nike.com for $110 USD. A Closer Look at the Concepts x Nike SB Dunk Low "Purple Lobster"
Inspired by the likes of Patti Smith, John Lennon, and Yoko Ono. Featuring tees, homeware goods, and bag accessories. Made to flex on the streets and on the track. A classic colorway for a modern silhouette.